Kickstart Your Diet! Setup. Record. Observe. LifehackrDiet. 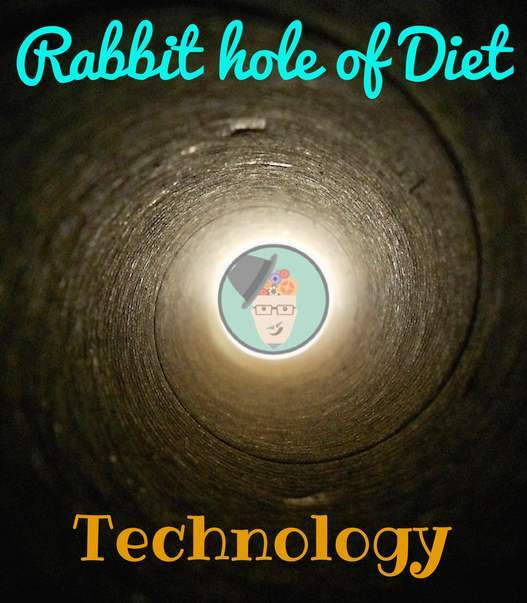 It was Thanksgiving 2012 when I bought my first Fitbit and decided to make healthy changes to my lifestyle – little did I know at the time, I was about to take a tumble down the rabbit hole of diet technology! Don’t get me wrong, the journey was worth it, but as usual I didn’t take the easy route. I followed paths that lead to dead ends, I took long detours, but in the end I hit my goal of losing 30lbs and reinventing my lifestyle. Initially I did this for myself with no idea that it would be of value to others. Boy, was I wrong! It’s just over a month since I “soft” launched my LifehackrDiet Podcast and I have hit more than 1000 listens of the Podcast channel on iTunes and Stitcher Radio – unbelievable! Clearly the LifehackrDiet and it’s transformative, empowering message is resonating with you too! I’ve done the heavy lifting of figuring out the LifehackrDiet, so you don’t have to! Now my job is to help you make small changes to your lifestyle so that you lose weight permanently and get healthier! Wait! You haven’t heard my pitch yet… Fine, let’s cut to the chase; I spend 5 minutes a day inputting and referencing my data – the rest is automated. This process will become second nature, so that 5 minutes a day of data input/analysis is all you will have to spend to lose weight and maintain your goals. Throughout this “Kickstart Your Diet! Setup. Record. Observe.” overview post, I will be embedding links to more detailed Resources posts that outline the step-by-step actions with details, images and videos of how you can easily and quickly start your weight loss journey today! You are going to start at the beginning, and prepare for this exciting journey so that you have the greatest chance of success. I know you are excited to jump right in by cutting your calorie intake in half and walking 20 miles a day, but that won’t lead to success. 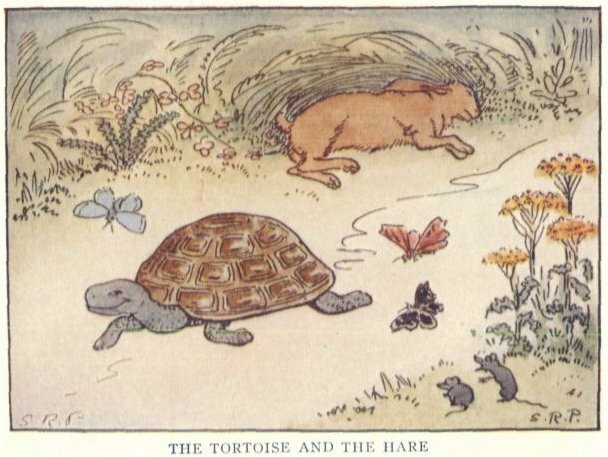 The metaphor you should be thinking about is the Tortoise in The Tortoise and the Hare one of Aesop’s fables. We are here to reinvent your lifestyle, one tiny change at a time. That’s right, you are going to kickstart your diet by not changing your eating habits or current activities! The first week to ten days is going to be spent simply setting up the new tools, learning how to record your data and creating a baseline of “you” – a snap shot of you in this moment in time. Good news! When you hit your goals you can look back and be snarky to your old self! Follow the Resources links within this blog post where I will show you in detail how to prepare your device of choice (iPhone, Android, Tablet, Laptop or Desktop computer) and match it with a Fitbit digital pedometer that fits your budget and preferences. 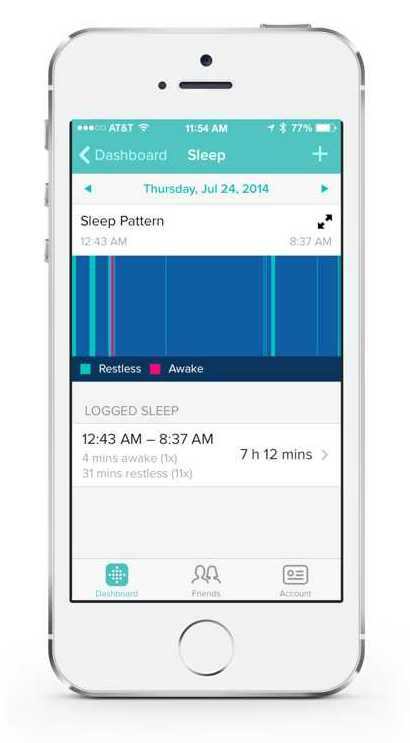 You can download the free Fitbit app for your smartphone or use their web portal, and start setting up the data recording process. Following the LifehackrDiet flow chart (above) you check the efficacy of the pedometer (calories out), your food diary (calories in) with a body weight scale and add it’s data to the Fitbit app. 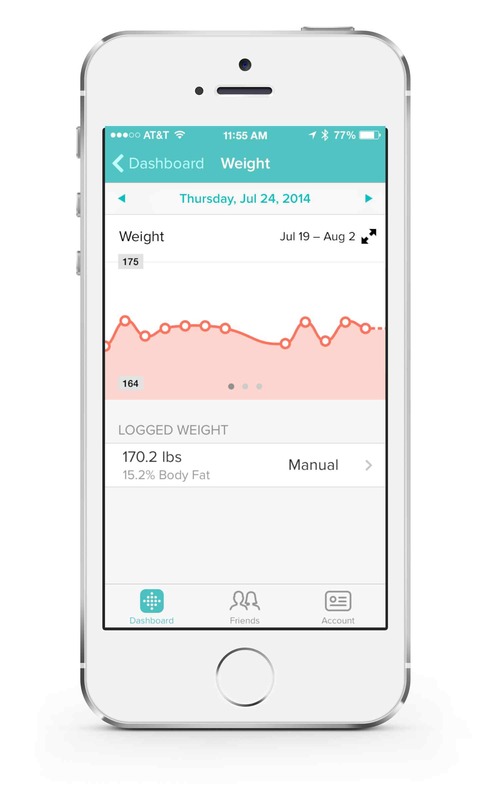 Now let’s feed the LifehackrDiet machine with your data! Sleep is one of the most under rated activities you can do to improve your quality of life. I know that weighing yourself every day can be stressful but I invite you to look at this as a “project” and not your daily weight/body fat reading. One day doesn’t matter, progress towards your goal does, and there will be more good days than bad days. You will soon be able to see a narrative unveil itself through the food you eat, marked by the events of your life, your mood and the seasons. As an example my wife and I went to a Mexican restaurant where the waiter prepared our guacamole right in front of us. Before I could stop him, he sprinkled a rather large pinch and a half of salt into our freshly prepared guac. My family consumes very little salt, so this was more than my body would see in a week! Rather than waste a beautiful bowl of guacamole (to me every bowl is sacred!) we ate it. The next morning my weight was up almost a pound and a half! That wasn’t because I pigged out (I didn’t! ), it was because I was retaining water due to consuming much more salt in that meal than I am used to. Within two days I had dropped back into the weight range I would expect. These are (data) stories that have always been part of your life, but now you will recognize them, calmly, for what they are. You will learn to ride them and relax. You have the tools to fix any culinary indiscretion! On the LifehackrDiet You have the tools to fix any culinary indiscretion! One of the main principles of the LifehackrDiet is to keep moving and to utilize everything in your day as a way to keep active and burn calories (see 3 Strategies: Quit the Gym and Be Healthier!). 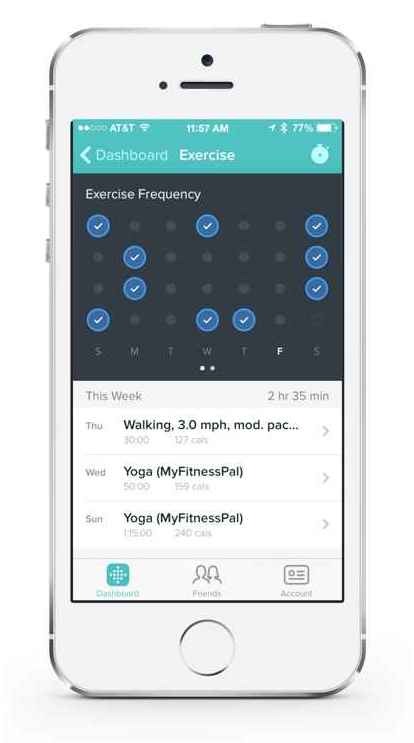 Your steps are automatically recorded using a Fitbit digital pedometer but you can also add other cardio activities manually to the Fitbit app and you will get the appropriate calories-out credit. keep moving and to utilize everything in your day as a way to keep active and burn calories. Eating the right foods and reasonable quantities of them is important to your health, weight-loss and wellbeing. The approach of the LifehackrDiet is not to change things up all at once, but rather to start with your favorite foods and make small changes that over time lead to huge results. For more information and some ideas of how to do this, be sure to check out the blogpost Secrets of Eating to Lose Weight on lifehackrdiet.com. 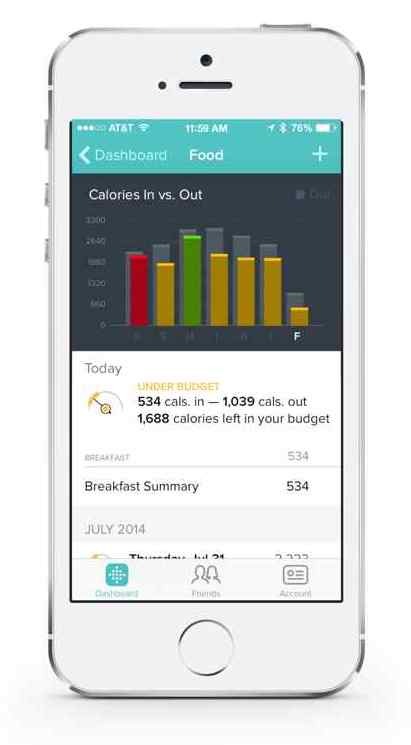 By recording what you are eating in the Fitbit food diary you are taking responsibility for every morsel of food that passes your lips. The once unconscious act of eating, will now be brought into the bright light of day and you will benefit from knowing. By recording what you are eating, you are taking responsibility for the food that passes your lips. Keeping hydrated is a very important factor in keeping you healthy on a daily basis. Drinking water is also a useful tool when you are dieting. Drinking a glass of water before every meal or snack helps to reduce the amount you need to consume to feel satisfied. 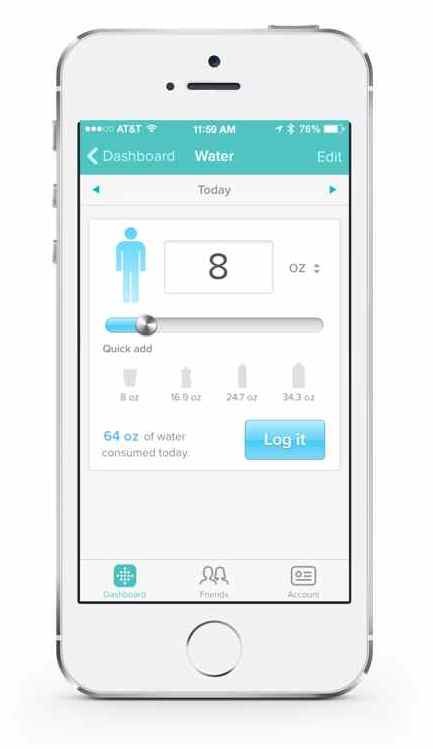 Which ever way you look at it, drinking at least 8, 8 floz glasses of water is the least you should be aiming for and the Fitbit Food Diary can help you by making it really easy to record and track you water consumption. Drinking water before every meal or snack reduces the amount you need to feel satisfied. The Kickstart Your Diet! Observe. resources post describes how you can look at the data you are creating on a hourly, daily, weekly and monthly basis. The act of recording your data, looking at it, learning from it, and deriving experiments from it, is a very powerful act which takes you from being a passenger in your body, to being the driver! Instead of feeling guilty or panicking when you infringe on your dieting plans, you simply look at the tools in your control, and apply the right ones to get you back on track. It is that simple, it’s that powerful! The LifehackrDiet is not a miracle weight loss program, currently there is no such thing. What it is – an easy to understand structure that allows you to see and make changes to your lifestyle, that create meaningful change. Once you understand the principles of the LifehackrDiet beyond the instructions and technology, you will see the miracle of your body and how being mindful in it, puts you into balance where you can achieve anything. As of writing this post, I am about to hit the 4,000 mile mark of walking while on the LifehackrDiet. To life!